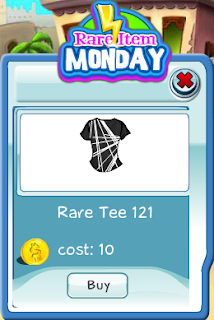 Rare Tee 121 is for sale now and only for today! 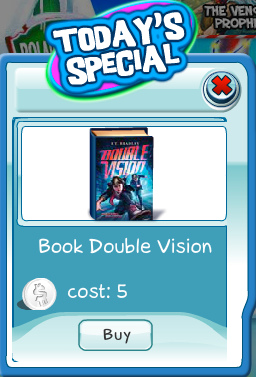 Get a couple for you collection. 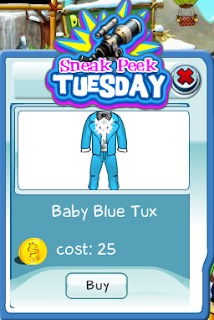 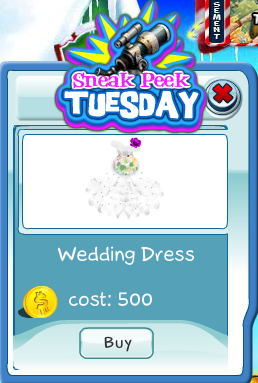 The Baby Blue Tux, this week's Sneak Peek Tuesday item, is a flashy blue suit that will make you stand out in the crowd! The brilliant blue diamond Bling Bling Earrings are this week's 50% Discount Friday item. 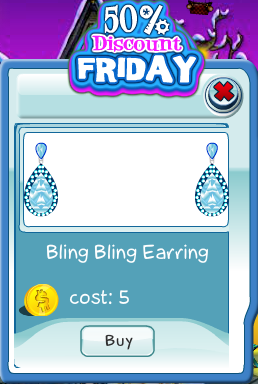 Get a pair today before the discount ends! 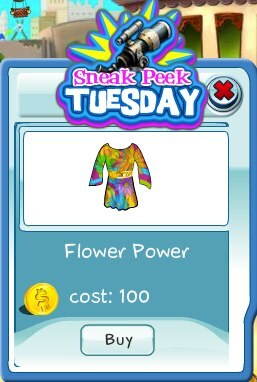 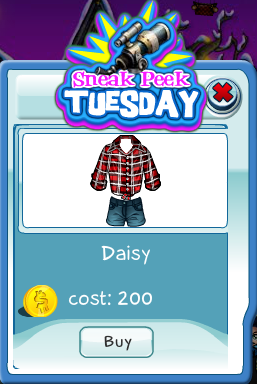 This week's Sneak Peek Tuesday item is the Daisy outfit, complete with a red flannel shirt and jean shorts! 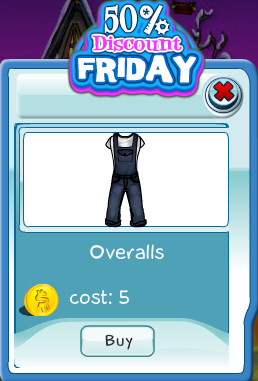 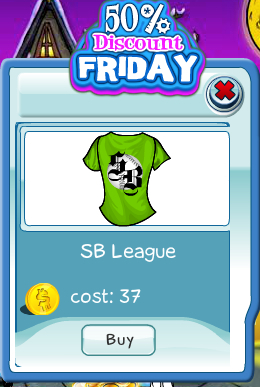 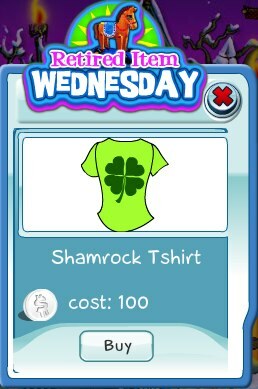 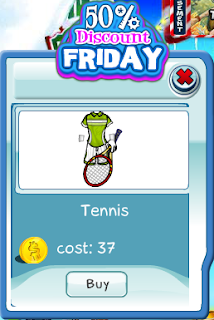 This week's 50% Discount Friday item is the Dress Shirt! This long-sleeved black and white striped dress comes with a gold belt. 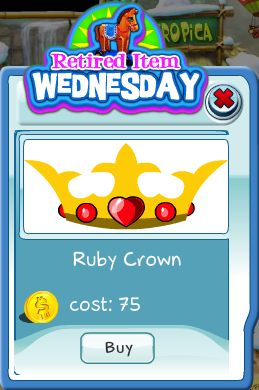 The Ruby Crown is going to be retired, so get one or two before they are gone forever! We know how much Builders love to collect rare tees. 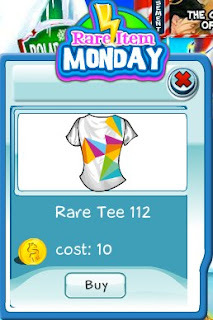 So now's the time to get Rare Tee 112 before the sale ends today! 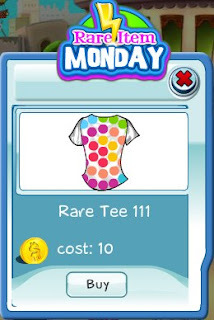 Add some color to your wardrobe with this colorful polka dot on white tee! Rare Tee 111 is out now.